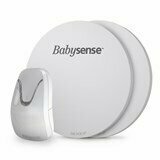 Parenting ... An unforgettable and wonderful adventure, which can sometimes be difficult and a little overwhelming ... That's why Babysense does everything in their power to assist parents and infants with effective solutions for a simpler life. A brand founded on a solid foundation of expertise and safety for a happy, smooth adventure! Babysense - When words are not enough to describe LOVE.